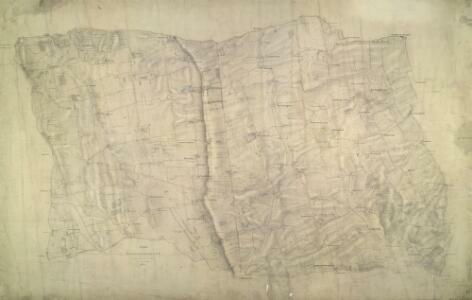 Description: This drawing covers part of Lincolnshire (north of Lincoln) known as the Lindsey Part. In the ninth century, after years of raids on the east coast of England, this part of Lincolnshire was finally occupied by the Danes. Evidence of this invasion survives in place names terminating with 'thorpe', an early-Danish word for settlement. The Ermine Street is highlighted in buff down the middle of the plan. This Roman road ran from Chichester in Sussex to York, via Lincolnshire. Pencil rays used to plot the survey are clearly visible on the manuscript.